For most women, connecting with Presbyterian Women happens in the congregation. Many women also connect at presbytery, synod or churchwide levels. Whether you want to participate at all of these levels or just a few, whether you want to support all of Presbyterian Women’s work or just the ministries that speak to you . . . please do! Your life will be enriched by Presbyterian Women, and Presbyterian Women will be richer for having you! Sign up for emails from Presbyterian Women. Submit a database change form. Resource a gathering or learn about resources. Discern how you can financially support PW. Share what your PW group is doing. Share what PW has meant to you. Ask for what your PW group needs. 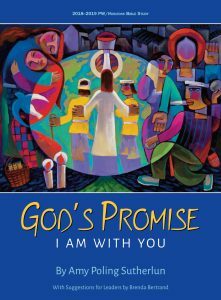 Stay connected to Presbyterian Women with Horizons, the magazine and Bible study by and for Presbyterian Women. Subscribe and you’ll always be on the same page as your sisters in faith across the aisle and across the country!